Every Sunday spins leave at 9.00am sharp, from Cornmarket, Ballinrobe. Distance varies according to who turns up, but anyone who turns up will be catered for. So all are welcome. Details of the Sunday spin are circulated using Facebook. 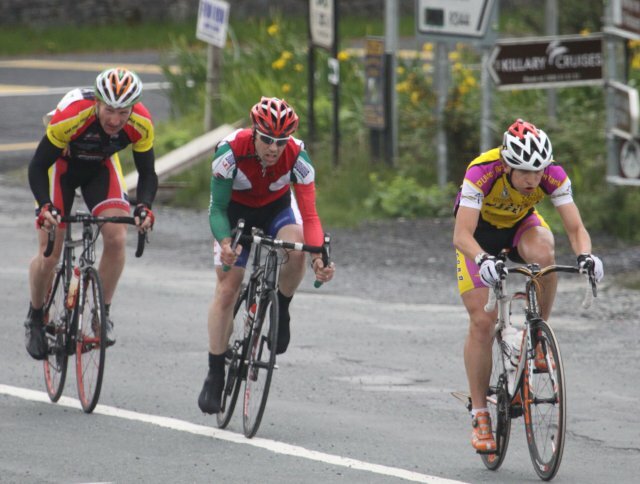 Saturday& Sunday morning: 9am from the Cornmarket, Ballinrobe, (Subject to race calendar) catering for cyclist from 16 up who want to race. Anyone interested in doing MTB spins at the weekends or during night hours, 3 woods to choose from, on safe tracks all you need is lights. Contact Sinead. From September. Every Thursday at the cycling centre on the Kilmaine Road, Ballinrobe. 1st class 7pm, 2nd class 8.00pm, book before hand to secure your place. Contact Padraig.